The idea to this series already developed some time ago in a café in New York during a session. Mappy Torres, a cuban poet, described the “Latin Violin“ with words, Gregor Huebner described it with his music. To him the violin is the common denominator of different genres. Of course his personal style slips in the compositions, too. He was heavily influenced by Eastern European Folk and Gypsy music. The result is a line-up of compositions of the most important Latin American composers and his own works written in the same unmistakable style. For Gregor Huebner, the influence of Eastern European music is clearly audible in the music of South America. He feels comfortable here. Here he is at home. Huebner´s recipe for success is: “Absorb everything you experience, and then concentrate on the things that interest you. But never deny where you came from.” Thus his own roots and personal experiences play a central role in his music and in his playing. But in the same way all musicians that you hear on his recordings, have contributed to Gregor Huebner´s musical development, are to some extent mentors to him. The second album of the “El Violin Latino“ production is dedicated to the pianist Octavio Brunetti, a Tango specialist and musician on the first album of the series. A friend of Gregor Huebner and musical partner, who passed away unexpectedly last year. For the production the CD there was a team of musical experts for every country: Cuba, Brazil and Argentina; three sessions in New York; vocals recorded in New York, Montevideo and Holland show the large network surrounding Gregor Huebner and the great joy of playing – all in an attempt to live up to the high standards and aspirations. Gregor Huebner put together a band specifically for his concerts because going on tour with three different bands goes beyond the scope of practicability. Klaus Mueller (piano), Itaiguara Brandau/Veit Huebner on bass and Jerome Goldschmidt (percussion) accompany Gregor Huebner (violin) during live performances in small clubs, concert halls or at festivals. The temperamental, melancholic, sentimental, passionate melodies from South America depict moods as old as time – in the musical language of Latin America – comprehensibly for anyone with a heart. 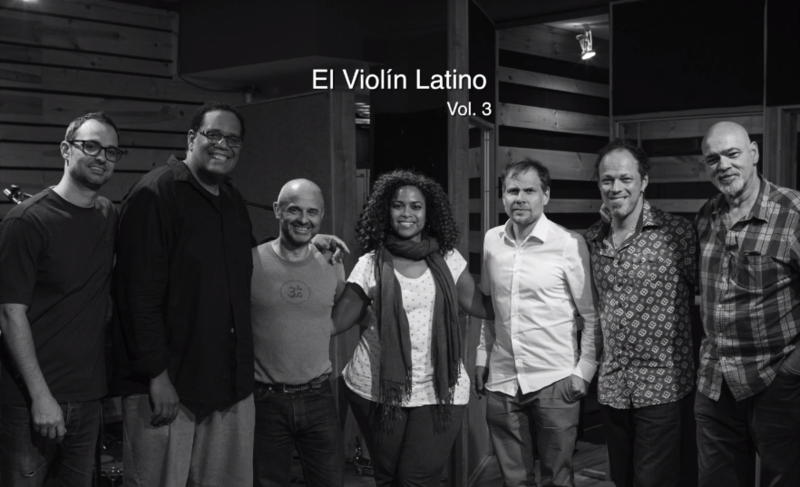 El Violin Latino is about to release their third album El Violin Latino Vol 3 – The Cuban Volume. The first song from the new album, “Los Soñadores/Dreamers,” was released on May 4, 2018. 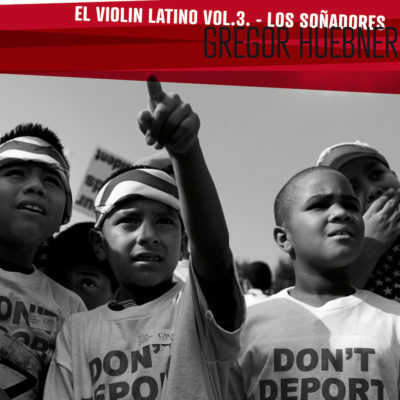 Gregor composed the song and it pays homage to the young adults who immigrated to the United States as little children but remain out of status —no human being is illegal. Under the Trump administration there is great risk of deportation. Yumaria Grijt, vocalist and lyricist, traveled to New York from Curacao (her native land and where she still resides) for the recording session with El Violín Latino. Yumaria learned to speak Spanish, as a little girl, by watching Venezuelan telenovelas (soap operas) with her grandmother. As a result, she is able to sing fluently in English and Spanish. The same languages that many DREAMers speak. 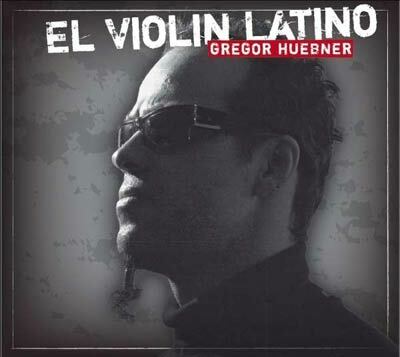 When going on a musical journey into the regions of Latin America, you should definitely bring along Gregor Huebner’s “El Violin Latino”. 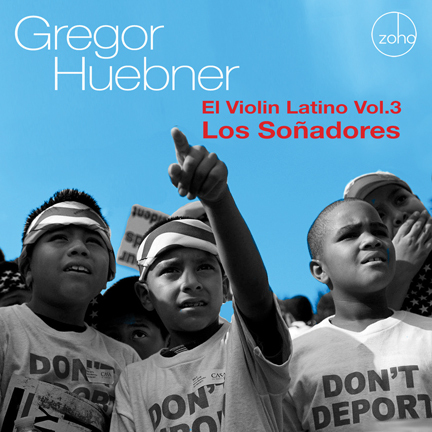 German born, NY based violinist Gregor Huebner honoring Los Soñadores (The Dreamers) in a high octane Latin Jazz session, featuring first call musicians Yumaria Grijt, Klaus Mueller, John Benitez, Ruben Rodriguez, Edmar Casteneda and others – in a John Coltrane cover, five Huebner originals, and four Latin songbook classics. 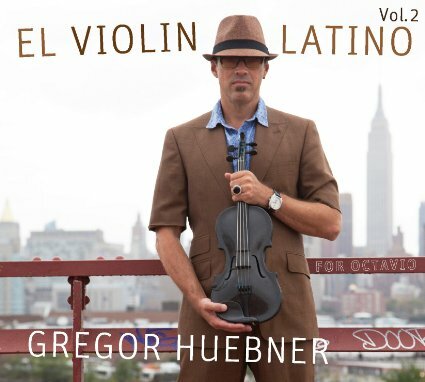 Violinist/Pianist/Composer Gregor Huebner infuses the violin with bandoneon & batá drums to create his second studio recording of El Violin Latino. This recording feature 16 musicians, plus the debut of his son Ysai on second violin and his daughter Naima on flute.